I want to tell you about this amazing book I recently started reading. Maybe it’s resonating with me so deeply simply because it’s come to me at exactly the time I personally needed it.. but I believe if you are here reading this, then there will be something in it for you, too. Here’s why I’m recommending it so highly. It begins in November, and you are encouraged to read a chapter a month. Already I have read a chapter in 2 days…unheard of for me, which is lucky as there is not much left of November! It talks of our deep connection to nature and points out things which I seem to feel but have never really understood. Halloween for example as we all know is a commercial and sugar filled nightmare and although we mostly allow our children to do it, on some level know there is a deeper meaning to it all. Well simply there is, it is Souwen. Ian gives an amazing description of the celebration where youngsters stood in a circle surrounded by the elder folk and moved slowly around facing each other. Outside the circle, pictures were placed of those who had died but held a special place in people’s hearts. These were the elders before, who were now being remembered. Everyone had a chance to pay their respects to the elders of past and present and share stories. If I could write as eloquently as Ian I could espouse the amazing month of November as the start of new beginnings…death and life standing side by side. Seeds lying on the earth and being covered by the dead leaves falling. Life and death hand in hand, not a morbid time but a natural one, and one told of so beautifully in the book. The power of nature is illustrated in the best way possible, offering many ideas for activities, festivities or rituals for yourself or perhaps children you are lucky enough to be in nature with. I’m so looking forward to getting cosy with a warm drink and. December’s chapter, but maybe first a reread of November! I’m wishing I had spread the word sooner, but it’s never too late! 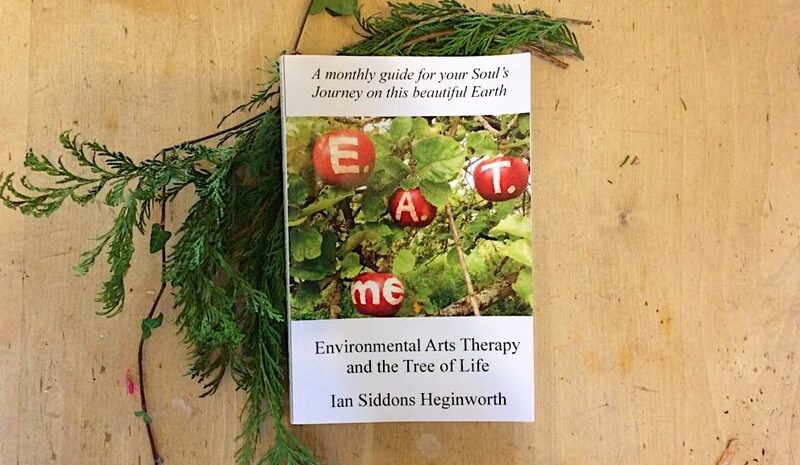 This book takes us through every month of the year and is such a beautiful way to find deeper connection to nature, her cycles and her seasons and the hidden meaning that would at one time have been our second nature. Get it quick and come on the journey with me. Would love to know what you think and how it resonates with you.